When I land in Macau, I’m about five centuries too late. The soon-to-be unveiled Zhuhai-Macau-Hong Kong bridge is the talk of the town, along with the flow of new money into this extremely wealthy region. I try to forget how late I am by consciously blurring out the tacky ‘Macau Venetian’ ads from my mind. Customs takes a moment. I head straight to the airport bus station, hop on the 26, and ride south. “A proxima paragem e o edificio Ip Heng”—couple more stops until Coloane. Arriving in the village and stepping out into the wind, with nothing but a half empty bag slung over my shoulder, is indescribable. For anyone who’s lived in a large Asian metropolis such as Shanghai, this is a familiar feeling—like depressurizing a capsule. But there’s something more about Macau which always brings me back. The Portuguese language has a word which is untranslatable: saudade. Saudade is both a memory and a hope. It’s timeless in that way. It’s somewhere between melancholy, nostalgia, and anticipation. Macau fills me with saudade. I make a pilgrimage to the Capela de São Francisco Xavier every time I arrive in Coloane and usually grab a seat at the Macanese cafe. Through the stuccoed columns of the old Portuguese building, I watch all the mainland Chinese tourists snap selfies at the entrance of the chapel. All the mainlanders I’ve come across have little or no understanding of Catholicism. For them, the cartoonishly yellow chapel must have been like a trip to Disneyland. Amusing ruins at best—traces of a bygone, strange people. For me, it was very much a living thing, or at least a living memory. Maybe something more like saudade. I always liked walking in the footsteps of giants. On a previous trip, I had bought a book called Camões in Asia at the bookstore near Senado square. It has always struck me as being quite strange that the greatest literary work in the Portuguese language was written on this very island. Imagine if Shakespeare’s Hamlet was set and written in colonial Virginia. It says something about the allure Macau has held across the centuries and the kinds of people it has attracted. I see announcements lining the road on my way towards the city: Exposição de Produtos e Serviços dos Países de Língua Portuguesa 2018. A business exhibition putting the Portuguese-speaking world on display. It was held at the bloody Macau Venetian. China’s defense strategy remains a focus in discussions about re-calibrating Western commitments in the Pacific. China hawks in the Pentagon and foreign policy establishment have been pushing for the rearmament of Japan and a beefing up of Vietnam, while championing the Quad defense pact. This pact would see the U.S., Japan, Australia, and India tied into a strategy of containing what they see as de facto expansionism on China’s behalf. The U.S. State Department had previously pushed for the Trans-Pacific Partnership as part of a larger strategy to economically isolate China. However, the political patrons of the initiative, largely in the Democratic party, were defeated in their ambitions of garnering popular support for the TPP. Going forward, how can we put a workable strategy on China in place? My time as an entrepreneur on the ground in China, with a good view of the economic situation in the PRC, has led me to believe that we need a far more sophisticated and workable approach than containment. The problem in coming up with a China strategy is that no one knows the inner workings of the Chinese politburo. We have to stoop down to antics not unlike those of the Cold War, when we were analyzing the order in which the members of the Soviet politburo appeared atop Lenin’s mausoleum during the Victory day parade to try and insinuate their level of favor within the system. China’s leadership is a black box from which nothing ever leaks–and they like to keep it that way by whatever means necessary. During the October 2017 CCP congress, which saw the crystallization of President’s Xi’s place in the Chinese political system, the Chinese government throttled the internet speed to a near zero all over the country to “avoid a hack.” This ground the service sector of the economy to a halt for the duration of the congress. The authorities stringently enforced immigration regulations, deporting many illegal workers, and halted all arrivals and departures from airports, except at specially authorized crossings. Beijing, with its 30 million residents, went into lockdown. All this suggests that the Chinese leadership takes security very seriously, and sees its opaqueness as an advantage. Playing against China turns out to be less a game of chess than a game of poker. So how do we play the hand we’ve been dealt without knowing what our counterpart is thinking? So the answer with something like China, is how do you get away from zero-sum. […] We have a deeper relationship at the societal level than at the military level, which is a dangerous place to be. The military guys will the first ones to tell you. So you thicken the relationship, you thicken the conversation, you thicken the interaction at the decision-making level and then you focus on issues which are not zero-sum. If you can get somewhere on the not-zero-sum issues, it gives you a little bit more goodwill on issues which are zero-sum. The Russia stuff is easy, the China stuff is much harder. The China stuff is harder because they have a lot more leverage. The China problem is displacement of American power, where America is the dominant power but being pushed out. The issue is managing the relative rise of China and relative decline of the U.S. while the U.S. is still dominant. That means that China will not become dominant but China’s power vis-a-vis the U.S. is going to grow. What this tells us is that a military engagement with China will be disastrous. Churchill once called politics “the ability to foretell what is going to happen tomorrow, next week, next month and next year. And…the ability afterwards to explain why it didn’t happen.” Let’s think about this scenario: what happens when a U.S. carrier strike group is sunk in a skirmish in the SCS, or off Taiwan? How are you going to explain that away? How do you retaliate? A nuclear exchange? The political shockwaves from such a skirmish would be immense, not to mention the loss of life. It would entirely undermine the network of alliances the U.S. has built up overnight, as it would show that the U.S. military can’t be trusted to make good on its commitments. As Kotkin said, China’s power vis-a-vis the U.S. has increased dramatically, which is reflected in its ability to enforce territorial claims in Taiwan and the SCS. If we can’t sanction them, and we can’t bomb them, we need to talk to them. And this is where winning the not-zero-sum game becomes crucial. How do you get the goodwill to come to agreements on the harder matters? One way would be to tie them into a mutually beneficial international system. We’ve already done that with trade liberalization. But we can go even further. First, we need to think about the challenges that the Chinese face: rapid desertification, aging population, concerns around energy security, concerns around food security. If we can tie them up institutionally into our solutions, we get the leverage we need to establish a new equilibrium. And here’s where Macau comes in: although it’s been under the radar, the Lusophone world could provide an opportunity to do just that at a relatively low cost and little political capital. Western observers have often ignored that China’s relationship with the Lusophone world runs deep. China sponsored Marxist post-colonial liberation movements in Angola and Mozambique, sending money, weapons, and training to these insurgencies in order to push out the Portuguese in the 1970s. Chinese power, even in its crippled economic state, played a role in the independence of these nations. The BRICS association, which includes both China and Brazil, has been widely discussed, despite a distancing between the two in more recent years. 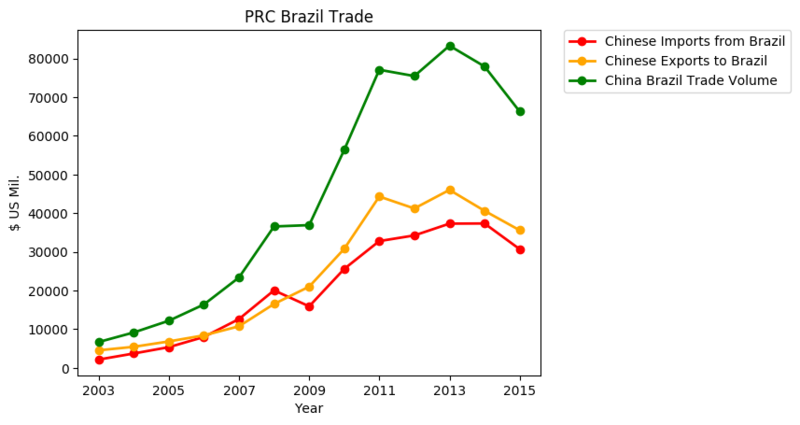 Nevertheless, China is still Brazil’s most important trade partner, accounting for 21.8% of all exports. 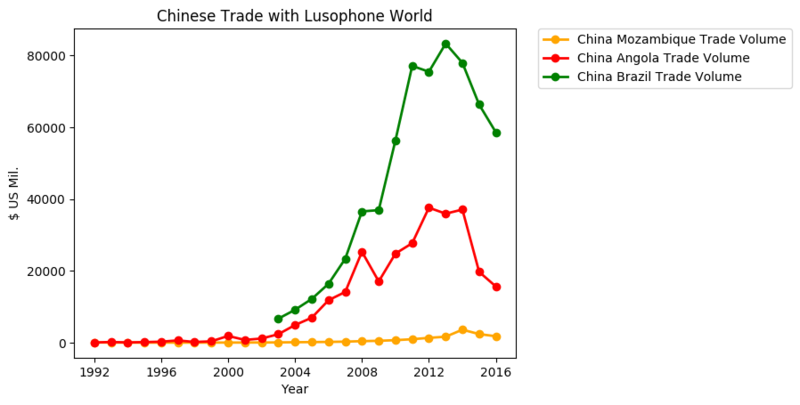 I’ve created the following charts to show the depth of the trade ties between China and its Lusophone partners. Data is from UN Comtrade. What trends are easily noticeable from this trade data? First, the gargantuan increase in trade volume from 2003 onwards. This is a clue. While Chinese power took the form of military aid in the 1970s, Chinese soft power now comes down to one thing: trade. China does not control the financial markets, nor does it have the technological edge that Western nations have. It also lacks the economic and military weight shared by the Western alliance in its entirety, which would include North America and some of South America, the European Union, Australia, and Japan. There is simply no competition in those domains. However, where China can contest the Western economies is in growing demand and new trade routes. Becoming a trading partner of the PRC can mean the road to prosperity for many developing nations and requires fewer invasive ideological commitments than any of the Western initiatives. It’s a great way for China to expand its sphere of influence without causing too much friction, especially when it comes to countries weary of Western interference. While the U.S. builds military bases, China builds ports and railways. It is a low-friction and quick-reward strategy. Second, we see a dip in the trade balance after 2013. This reveals something interesting about the limitations of Chinese soft power; it is dependent on basic indicators, such as the price of oil (which took a nosedive around that time), and any volatility can have significant impact. 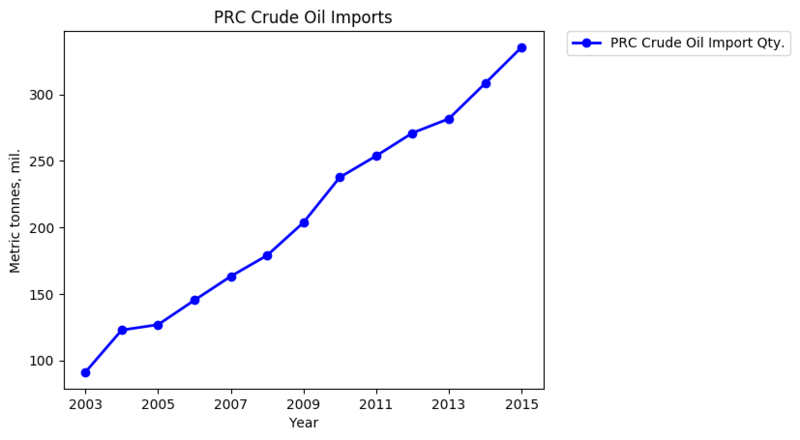 To account for such fluctuations, the PRC has deployed a large credit strategy to ease the adverse effects of market volatility. This could prove to be ruinous, as some, if not most, of the regimes that the PRC is dealing with are notorious for being bad debtors. The result is once more a limitation on Chinese soft power. In light of that context, it’s time to move to the Portuguese-speaking world. The cases of Mozambique and Angola address two core Chinese concerns: energy security and food security. These countries are particularly interesting because they are very close to what could become Chinese poles of power in the post-liberal international order. Mozambique is incredibly close to the PRC military, and the trade ports in Djibouti and Angola are among the most open to China in Sub-Saharan Africa. The trade routes taken by goods leaving ports in these countries map directly into the Chinese port network under the Belt and Road Initiative, across the Indian Ocean. China is planning for these routes to ultimately avoid the strait of Malacca, which is an easy choke point for a naval blockade of China, instead taking overland routes from the Indian Ocean. Mozambique has been one of the poorest countries in the world for more than two decades. Its population is predominantly rural with 80 per cent engaged in agriculture; however, agriculture contributes only 20 per cent of the Gross Domestic Product (GDP), suggesting that labour productivity in this sector is significantly lower than in the non-agricultural sector. It also suggests that growth in agricultural productivity is critical for poverty reduction. Nevertheless, as will be shown, agricultural productivity declined in the last decade, contributing to stagnant poverty levels. […] Worsening rural poverty is puzzling both because national accounts show an outstanding economic performance since the end of the war in 1992, and because Mozambique became a donor darling and aid has been rising steadily for the past decade. With GDP rank 169 and HDI rank 172, Mozambique receives significantly more aid than neighbours at a similar level. In that same year, Brazil, Japan, and Mozambique launched the ProSavana initiative to bring Mozambican agriculture into the 21st century. The initiative entailed heavy investment into the northern regions of the country around the Corridor de Nacala (known in English as the Nacala Logistics Corridor) and a turn towards soybean production. The backlash the initiative faced resulted in the situation becoming a basket case. An opportunity to utilize both Lusophone potential and Asian demand was undone thanks to the overarching effects of liberal ideology as exercised through NGO power. 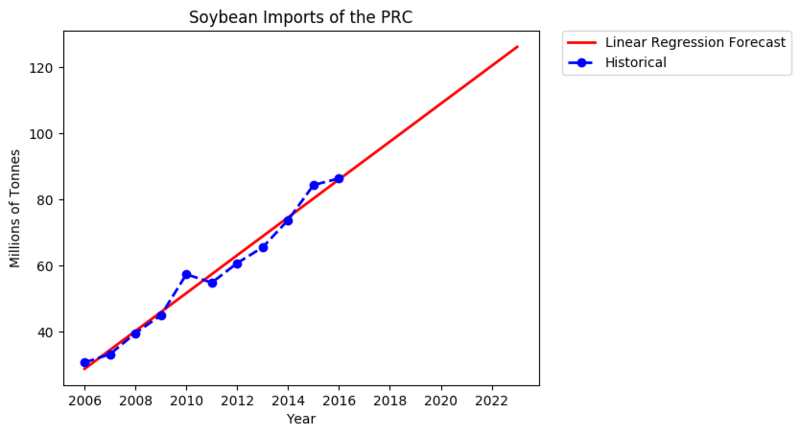 Outsourcing soybean production is a good deal for the Chinese leadership, but it needs to find a reliable source. This brings us back to Mozambique. ProSavana’s purpose was to plug into the Chinese trade network being developed in the Indian Ocean. Brazil is already in the Chinese trade network and has developed the expertise and new strands of resistant soybean which could produce good yields in the land around the Nacala Corridor. So, why was the project halted? Simply put: Western NGOs. GRAIN, a non-profit, is one among those. Its mission statement is to “support small farmers and social movements in their struggles for community-controlled and biodiversity-based food systems,” engaging in activism and documenting initiatives such as ProSavana all over the world. GRAIN’s ideological associations are not opaque at all. They compare the ProSavana project to Portuguese settlement in Mozambique—that is, a process of disenfranchisement of the local farmers. Yet, there is something particularly odd about their assessments of the state of agriculture in Mozambique: GRAIN glances over the period of collectivization which occurred after independence, and resulted in utter failure. Not only does their assessment fail to discuss the damage done by collectivization, it also praises the spirit of collective ownership of land during Mozambique’s central planning era. Its funder’s list includes the Silicon Valley Community Foundation (which made $105 million USD worth of contributions on the global stage in 2017) and a plethora of U.S. and European aid organizations. GRAIN, along with similar Western-funded NGOs, mobilized local farmers against ProSavana. It claimed that the program was a process akin to recolonization and that their lands were being seized with the Mozambican government’s seal of approval. What are the reasons for such massive mobilizations against the project? What exactly is this ‘process of recolonization’? First, they are concerned about a risk of land grabbing. Other Japanese agencies, (such as multinational companies), have entered the project area seeking business opportunities. This may result in land grabbing of local community land by these non-local agencies using contracts with the central government without agreement of a local community, for example of a large-scale plantation. Local farmers think that non-local agencies rob local farmers of their local lands. Land grabbing has happened in many places in response to the food crisis in 2007 in other countries. Second, ProSAVANA neglects and ignores the production efforts of local community farmers around the Nacala Corridor. The local farmers subsist on their own produce, and sell their surplus products to others through local markets. They worry that if this system is destroyed, it will create tension within their communities. […] Fourth, ProSAVANA is interested in growing Mozambique’s economy by exporting more food. However, the local population is concerned that such export-oriented agriculture will threaten food security, not only in Nacala Corridors, but also in other areas of Mozambique. For these four reasons, the local population fears that the implementation of ProSAVANA will violate the sovereignty of the people of Mozambique. One reason for the very high levels of chronic malnutrition in Mozambique is that on average farmers produce enough food to feed their families adequately for less than eight months of the year, and this is not changing. The poorest families only produce enough to provide adequate food for half the year. Thus most smallholder farmers are deficit producers of food, selling some quantities soon after the harvest, and buying more food later in the agricultural season at prices significantly higher. These households rely either on food aid or on cash income for their subsistence. Participation in non-farm income activities is used as a coping strategy, and the poor usually engage in activities of low return. A bit of a divergence from Suzui, isn’t it? The people who mobilized the local population against the ProSavana project are also the same people in charge of distributing food aid. They pioneered ‘alternative’ methods of empowering local farmers, but in the end no results came from it. This isn’t to claim that land-grabbing does not occur. Quite the contrary; a lot of international illegal funds are laundered through shady land acquisition in rural Africa. However, the ProSavana project had many actors, some of whom even tried to work directly with the farmers themselves through microloans and the provision of seeds and fertilizer under agreement that they produce soybean. To compress a project of such scale down to a land grab ignores key advantages. A project like ProSavana, if done responsibly with expertise from Brazil and Portugal, as well as funds from the West and China, could potentially inject cash into those local economies. This would force specialization in agriculture, while expanding Chinese trade power in Mozambique. The result could tie African development, Chinese food security, and Western expertise into one big project. 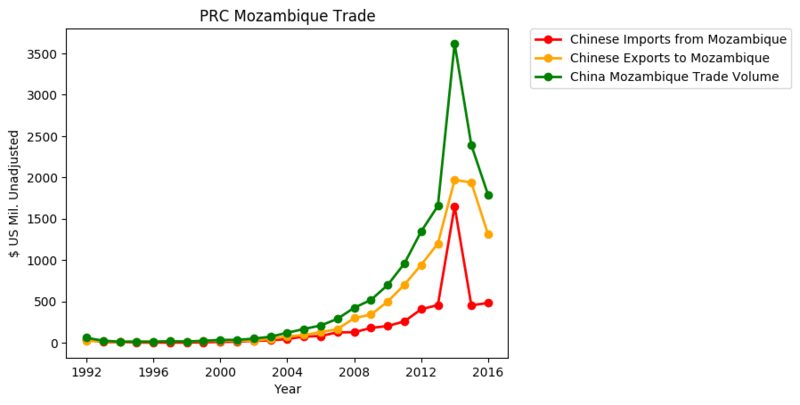 Chinese-Western cooperation in Mozambique could prove to African partners, especially the regimes that feel insecure about growing Chinese influence, that responsible and stable development is good for everyone, especially on the security front. More money, higher yields, agro-industrial human capital, and more infrastructure eliminate food riots (as occurred during the 2008 food crisis)—a necessary task for stable states, whether democratic or otherwise. But to achieve that and open up Brazil-Portugal-Africa in projects, in general, the ideologies and roles of NGOs and foreign aid organisations would need to be revisited. This is fortunately an easier problem to solve than rethinking a Western grand strategy for Africa and Asia, or trying to sell the TPP to the American worker. The Angolan example illustrates well the analytically important distinction between the ‘institutions of extraction’ and the ‘institutions of redistribution.’ The Angolan institutions of extraction are vital for the regime. The presidency, the national petroleum company Sonangol, the coercive apparatus, and the ruling party are the main institutions that turned “grabber friendly” by the necessities of the war and later developed into strong institutions. Angola is a reversed China. It’s a single party dictatorship which is notoriously bad at ruling Angolan society. It is highly competent at extracting cash for its elite, but unable to do much else beyond that. 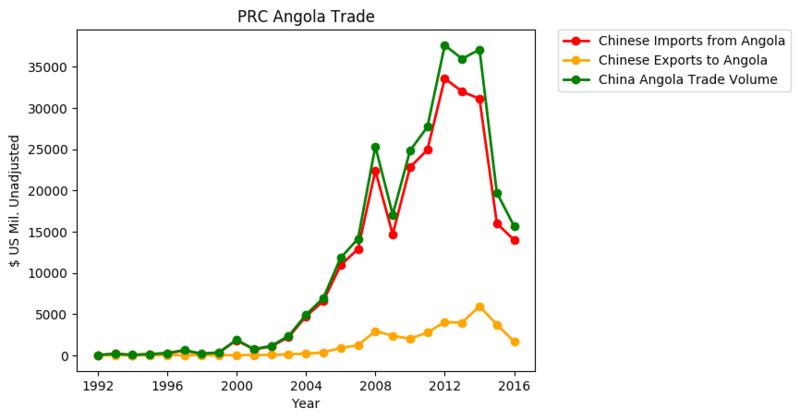 And this is going to be a significant problem for the PRC in its dealings with the Angolan elite, as China keeps propping the regime up with loans which hover at around 60 billion (USD) in total. This remains an area of potential collaboration between the Lusophone countries and China. Brazilian oil giants (which have the expertise for efficient oil production and management of reserve depletion) could enter the Angola oil markets and help meet China’s growing demand for oil. Angolan relations with the West, but especially the U.S., Portugal, and Brazil, are also quite warm. The technology and expertise coming out of those countries, coupled with Chinese funds, could help secure higher production of crude for Chinese markets, as these countries possess the expertise. 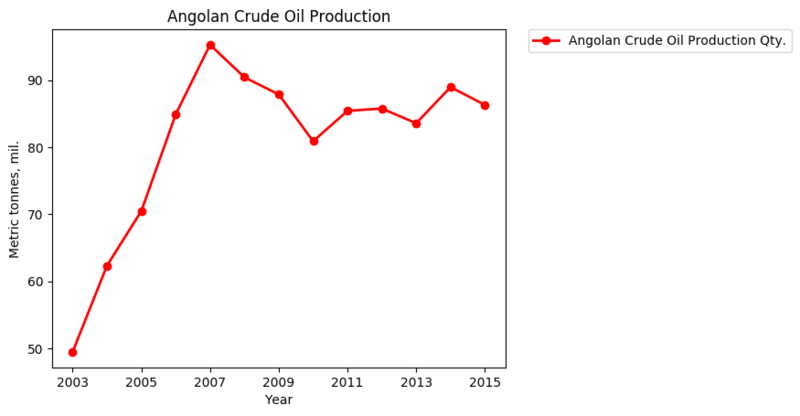 The advantage of such a scheme is that it makes use of sophisticated ‘institutions of extraction’ such as Sonangol, which Amundsen describes as a “haven of competency.” Amundsen also notes that most foreign interactions with the state-owned producer have been relatively easy. Furthermore, it is completely in alignment with the interests of the Angolan elite, which needs to pump out more crude to pay for its security apparatus—engaged in counter-insurgency operations against separatists in Cabinda. Back to Macau. Angolan officials trying to interact with Chinese bakery clerks is something to behold. This place is a 20 sq. km slice of Portugal, Brazil, China, and Africa all blended together and it is quite aware of its role in the Lusophone. With the University of Macau and the ever increasing initiatives between China and the Lusophone world that the autonomous Macanese government is happy to platform, the significance of those 20 sq. km is increasing. 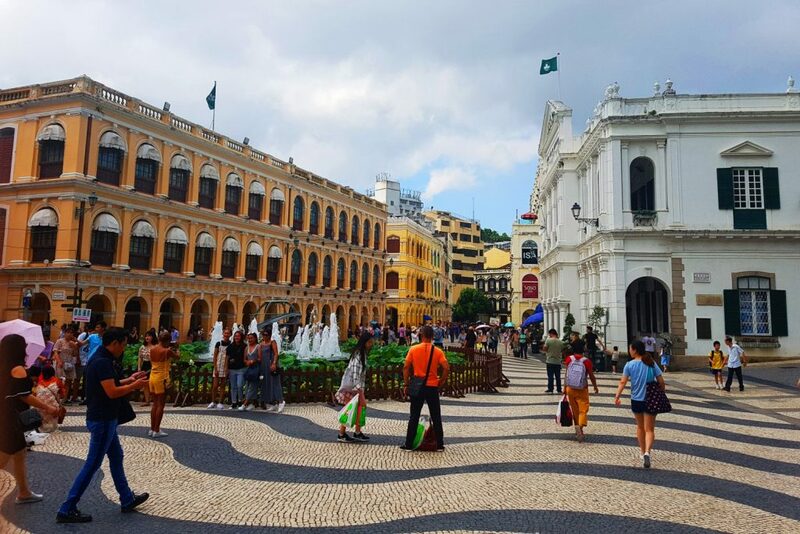 After living through a decade of gambling boom, the Macanese administration is seeking to diversify and sees the enormous opportunities in connecting the Chinese world to the Lusophone world. If Macau successfully becomes a platform for business, it would cement the place of those 20 sq. km in the world at large. In the center of that slice is the oasis of Caravela Pastelaria. There’s TV streaming from Lisbon, and vinho do porto is served. It’s a staple of the Portuguese community which permanently occupies one of the few smoking patios of Macau on an around-the-clock basis. There are some strange characters who frequent it, the kinds of which only several long years in Asia can produce. A punk-looking Portuguese gentleman is there all the time. He seems at ease in Cantonese when he talks to all the passersby. Occasionally, he will strike up a conversation in Portuguese with some of the cafe’s older clientele. I wonder what kinds of stories they have to tell. Macau must be the densest Portuguese village in the world.